When you think that after a long time development product needs to make some money, you can contact Yomob. Yomob is the most authentic advertising aggregation platform we have ever used. Yomob is our partner with best trust and satisfaction. Yomob provides us a very valuable advertising optimization solution through a very efficient intelligent optimization algorithm. Yomob realisation and optimization technology provides us with a one-stop full realization of high-quality services. Our "Township" video advertising revenue has thus been effectively improved. 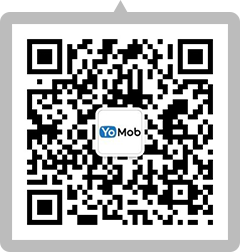 Yomob demonstrated deep domain expertise in ad monetization. They helped us structure our business strategy for Dots & Co in China, and thereby improved our overall revenue to a great extent. Yomob understands how to optimize and place the Video Ads for the best performance. We've seen at least 150% improvement on eCPM in Zap Zombies! I was referred to Yomob by Taptap, and shortly we got more ad displays from Yomob with way better fillrate of ads and much better quality of the ads. Yomob partners with most leading global mobile ad networks and DSPs such as mobile video ads, playable ads and AR ads demand side platforms. Our mission is to empower developers to optimize and monetize efficiently based on our programmatic IO experience, big data analytics and AI technology.